April 27th from 10am to 12pm. 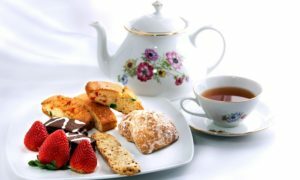 Join us as we gather to discuss our Book Club pick, “The Bookshop of Yesterdays” by Amy Meyerson over Afternoon Tea. Price is $19.95 + tax. In order to book your reservation, please call to pay ahead.